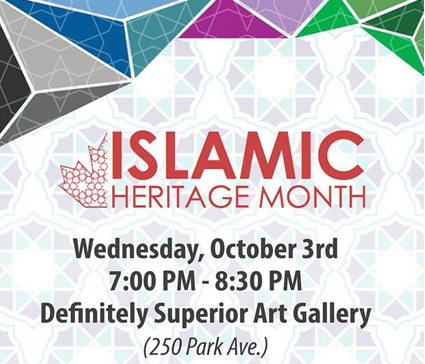 Canadian-Muslim heritage through song, poetry, and the arts. Siedd is a Canadian Muslim singer-songwriter and producer. He began playing the guitar at the age of 14 and had an interest in poetry and music as a child. In 2016 he began his YouTube channel where he would post originals and renditions of other artist’s songs which frequently involved rewritten lyrics with faith-based themes. Siedd’s music features acapella arrangements created using layered vocalizations and hand claps. He has 11 faith-based music videos which have been streamed over 6 million times on YouTube. Hikma is a student of the Islamic legal tradition, poetry, and social work. He serves as the Imam for the Thunder Bay Masjid. He is the co-founder and creative director of Makkah Records. His spoken word is centred around words that are spoken. Hanaga was born in Turkey. He is originally from a Kurdish background from both sides of his family. He moved to Toronto in October of 2008. After first picking the Balgama in 2010 never looked back. He has since, continued to improve his art. currently in his last year of civil engineering at Lakehead University. Masoud is an international graduate student from Iran studying Environmental Engineering at Lakehead University serves as the Multicultural Center Coordinator at LUSU, the Lakehead University Student Union. He also serves as the Internal Chair at WUSC Local Committee and was the former President at Iranian Cultural Association at Lakehead University. He’s an avid musician that plays the traditional Iranian instrument called the Tar.